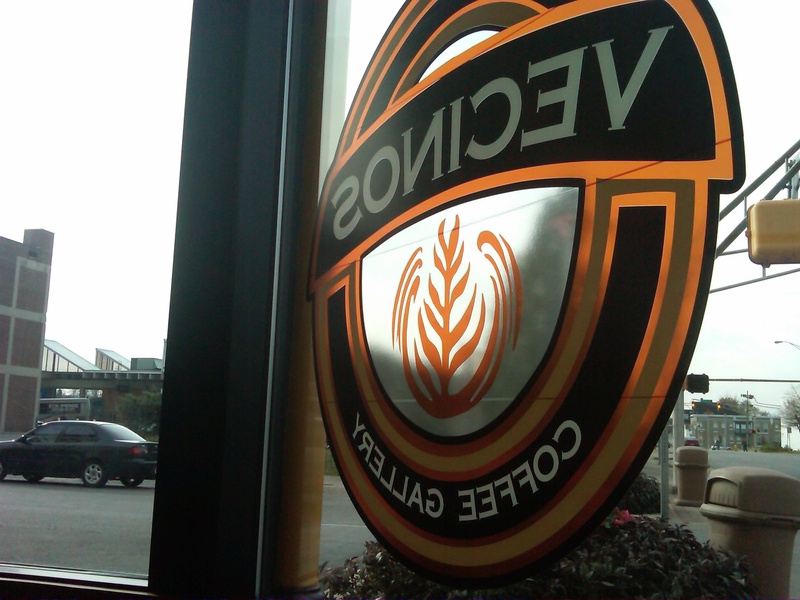 So, I’m sitting in Vecino’s Coffee Gallery in downtown Muncie, my second coffee shop of the day, working on my novel and now my blog and drinking a vanilla latte. 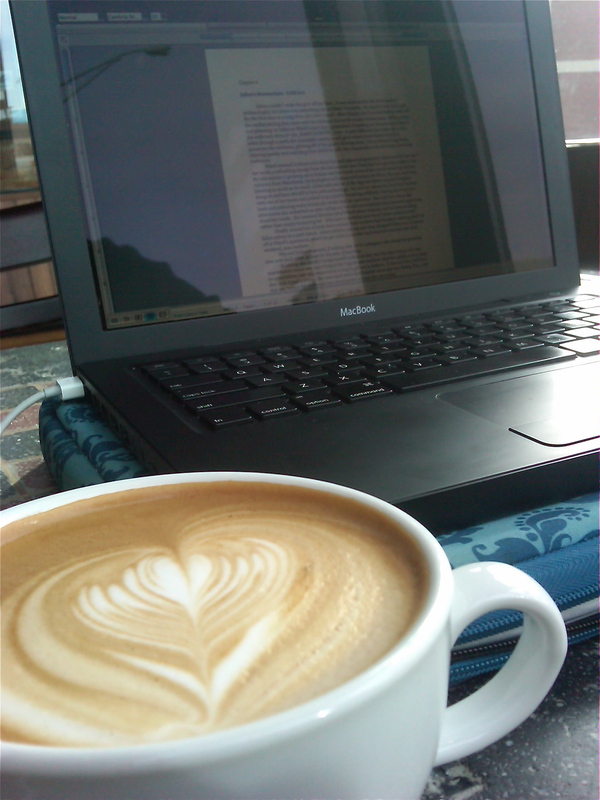 I was at the MT Cup in the Ball State Village earlier to do my 750 words (I wrote more than 1,700 words! Yay! I feel so accomplished after writing an abysmal 761 words yesterday.) and now I’m sitting in this great little coffee shop I’ve known about for about 18 months and I’m just now visiting it for the first time (Great place, by the way). Of course, this would also be its last day in business until about September of 2011 (very sad day), but that’s life, I suppose. After doing a bit of research the past few days, I’ve finally made the decision as to where I want to start my Atlantis story out in. My main character lives in Wilmington, Delaware. It’s the largest city in the state and the hub of most of the culture. I’ve also set some of the other locations. I don’t have names of restaurants yet, as I don’t want to have to pay established venues money to use their names in my novel (I need an Italian place and a seafood place, so if anyone out there has any ideas, I’d appreciate it). This may not seem like a big deal, but for me this is huge. I now have a feel of where Julien lives and what it’s like to live there. It really helps to get to know people — knowing where they live. Of course, she’ll be leaving Wilmington for the Mediterranean very soon with a certain someone who shall not be mentioned until later, but I’m very grateful to have discovered this new information about her. I’m also about to introduce the secondary hero of my story — Alexis. He doesn’t have a last name yet (will amend that before the end of my writing Chapter 5), but he’s also the son of someone noteworthy and is trying to live up to his people’s expectations. I think I’m going to like this guy. Not as much as Reuban (maybe I’ll do a character sketch of him later — favorite character! ), but I think I like him. NaNoWriMo starts up officially the day after tomorrow and I’ve already written more than 30,000 words, which gives me a great deal of confidence. There’s no way that the story will be finished in 50,000 words or even 60,000, but I have no doubt I’ll complete the requirements of the assignment by the end of November. I can feel the stress falling off of my shoulders. I’ll still be a little anti-social, but I hope my friends won’t mind. So that’s pretty much all for now. The next few days will be taken up with finishing Chapter 4 and 5 so I can really get into the meaty (adventurous might be a better word) part of the story that starts in 5. OK, the most recent process blog for my novel class was two lists of ten. They could be pretty much anything regarding writing or NaNoWriMo and, after filling my brain for the past, oh, ten years with writing advice and books on craft, I’ve compiled my list of things to think about while writing. These don’t just apply to novels, but to whatever you want to write, poetry included. The second list is a list of what I keep in my writing space and a brief explanation of why. A lot of successful writers have mentioned what they keep on their desks for whatever reasons, and maybe one day, when I’m not such a disorganized mess, I’ll have a better list, but for now, this is what I’ve got and I’m going to make it work for this project. Another thing I guess we were supposed to do, judging by other process blog entries, was outline our plot points. If it weren’t 12:30 in the morning and I didn’t have an 8 a.m. class later, I’d go through that right now, but I guess we have to have things to look forward to . . .
1. Let your characters surprise you. Admit you don’t know everything, hang out with them for a while, and let them tell their story, you control freak, you. 2. Verbs are a matter of opinion. Don’t be afraid to think outside that box. 3. Stephen King once said, “The road to hell is paved with adverbs.” They may pave the road but passive verbs support the weak infrastructure. Kick ’em out. 4. Silence the internal editor . . . with duct tape if necessary. You don’t have time for such shenanigans. 5. There is no such thing as writer’s block. Keep writing until you know what you’re talking about. 6. NO UNSEEN HANDS!! Everything must be explainable. Even fiction must make sense. 7. Claim a space and time and inform people that for that time in that place you will be unavailable. Hide your cell phone if you have to. This is for those little epiphanies that crop up while I’m deep in thought about what I’m currently writing about. If I interrupt myself to run with that other thought, I’ll lose the epiphanies I was having about the thing I was writing about first. This way, I ensure I won’t forget this new idea while not getting enough out of my writing flow to lose my original thought. Sometimes you need a hard copy to look at and mark up to understand it a little better. And it’s always nice to see something you’ve written published, even if it’s only by you. Writing can be discouraging and it’s great to get a dose of inspiration or encouragement. These books are really great for this. They’re full of writing prompts, photos, advice, and the feeling that you’re definitely not the only one going through what you are with your book. He’s a stuffed animal who used to sit in the back windshield of my car and is suitably faded to look something like my dog looked like, just better groomed and certainly better-smelling (the real version smelled like a porch). There’s no real writing reason for him being there, but it’s his place and he’s always there. Don’t judge me. Hi, my name’s Kate and I’m a Post-It addict. Deal with it. If I have an excuse to get up for anything, I will. I will tell myself I’m thirsty so I can get out of the chair unless the water’s right next to me. I keep tissues and Tylenol at the desk for the same reasons. I know, I’m weak. I think this is self-explanatory. If you really need more clarification, come find me. When I’m writing about places I don’t know (as usual), sometimes I need some extra information about that city to help shove me into something else that might help me along with my writing. As long as you’re writing about a location in the US and, I believe, certain places in Canada, this book can help. If I’m writing long-hand (usually in order to avoid Facebook), I use my iPod to give me my writing soundtrack, but if I’m on my laptop (most often), I’ve got iTunes pulled up and I’m listening to something to keep me in that mindspace required for me to write. The music has to be mostly the same or my writing style will change according to the music. As far as I’m concerned, Howard Shore and Hans Zimmer are musical gods among men. Amazing stuff for writing — no words for the most part and music that, depending on which tracks you use, holds a great deal of emotion that you can tailor to fit the needs of what you need to write that day. If I’m having trouble describing a person, I might try to think of a celebrity who looks like my character that I can find pictures of or that I can tailor to my own needs. Other times, my character is a person only I have seen and doesn’t remind me of anyone else, so my best bet is to draw that person. Recently, I’ve begun considering having someone else draw these characters, as my drawing abilities are abysmal. But it’s an idea.